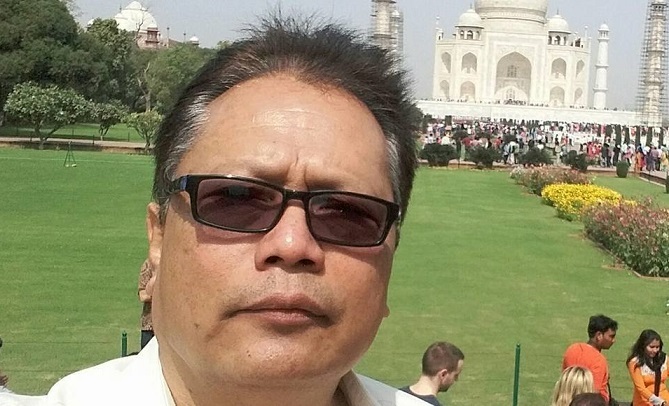 Mizo National Front (MNF) candidate C Lalrosanga for the ensuing Lok Sabha election is the richest among the six candidates contesting for the lone Lok Sabha seat in Mizoram. He has total asset worth over Rs 6.87 crore. The former director of Doordarshan has Rs 5 lakh in cash, moveable assets worth Rs 37.39 lakh and immoveable assets estimated at Rs 6.50 crore. He does not have liabilities. His and his wife’s sources of income are pension and house rents, according to reports. BJP candidate Nirupam Chakma has Rs 4.50 lakh in cash, moveable assets worth Rs 12.21 lakh and immoveable assets worth Rs 54.50 lakh, and bank loans of Rs 10.16 lakh. Journalist and sports organizer Lalnghinglova Hmar, who is contesting as an Independent candidate backed by the Congress and Zoram People’s Movement (ZPM) has Rs four lakh in cash, and moveable assets worth Rs 65.93 lakh. He does not have immoveable assets but loans amounting to Rs 60 lakh. Another independent candidate Lalhriatrenga Chhangte, a former deputy controller of Mines under the Union Government’s Bureau of Mines, has Rs 2.50 lakh in cash, moveable assets worth Rs 9.93 lakh and immoveable assets worth Rs 54.50 lakh. His affidavits show bank loans amounting to Rs 25 lakh. PRISM candidate and former Indian Navy sailor TBC Lalvenchhunga has Rs 15,000 in cash, moveable assets worth Rs 31.12 lakh and no immoveable assets, but loans amounting to Rs 21.45 lakh. The lone woman candidate Lalthlamuani, who declared herself as ‘self-employed’, has Rs 25,000 in cash, moveable assets worth over Rs 4.35 lakh and immoveable assets worth Rs 40 lakh. She has loans amounting to Rs 5 lakh.